The MADRIX® brand brings powerful yet easy-to-use LED lighting control solutions based on innovative software and hardware to the lighting market. 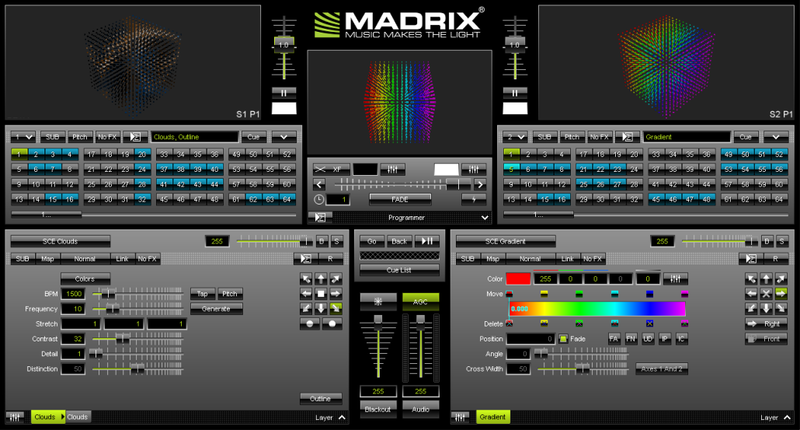 MADRIX is the LED lighting controller. It is a feature-rich and intuitive Windows® software. The application is both an effect generator and media server with outstanding capabilities to display unique real-time effects. Endless stunning visuals can be created using pixel mapping and the built-in graphics and render engine. MADRIX supports many well-known industry standards, such as DMX512, DVI, Art-Net, Streaming ACN (E1.31), the Philips Color Kinetics (KiNET) and Insta/ROBE protocols, Eurolite T9, and ColourSmart Link. MADRIX can be used alone, or along with any DMX/MIDI console or desk. Complementary MADRIX hardware reliably controls your LED installation via MADRIX–the centerpiece of our intuitive products. This provides a seamless integration of both software and hardware and high performance.